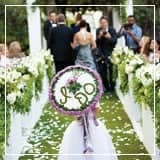 Wedding planning can be a stressful and overwhelming process, but it does have its fun elements — like trying on dresses and picking out your wedding-day accessories. This is the only time in your life that you’ll have an excuse to round up your closest friends and family and demand that they watch while you try on clothing for several hours. Don’t pass it up! 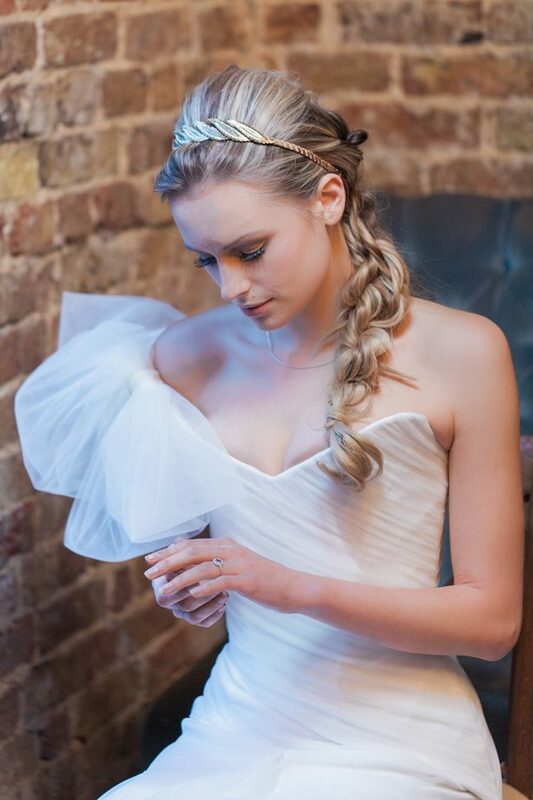 But for an indecisive bride, the process of designing a wedding-day look feels more like a punishment than a privilege. If you fall into this category, maybe you’ve been agonizing over which pieces of jewelry to wear with your wedding gown. Agonize no more. 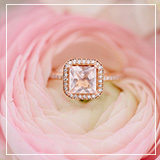 If you follow these seven tips, you should have no trouble choosing wedding jewelry that you’ll love on your big day and for years to come as you see them in photos. If you have trouble making a decision and sticking to it, buying an opulent (and potentially overpriced) set of earrings might not be the best way to go. By the time your day rolls around, you could decide you’re no longer into them. 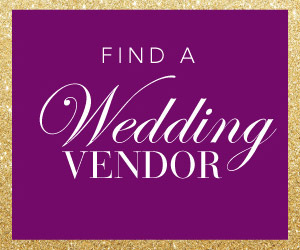 Instead, consider renting from a website like Rent the Runway, which offers designer bridal accessories at deeply discounted prices. 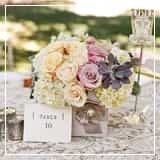 You can change your order up to a few days before the wedding. Or borrow accessories from a friend. Before you started wedding dress shopping, you probably thought all bridal gowns were the same color. Now you know better. 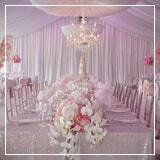 There’s bright white, ivory, champagne, and blush, to name just a few. Coordinate your jewelry with the gown’s hue. Gold goes best with ivory and champagne, while platinum or silver work well with a bright white gown. Blush bridal gowns tend to look the best with rose gold accents. Just as wedding dresses vary when it comes to color, they also span a spectrum of necklines. And not all necklines are created equal. 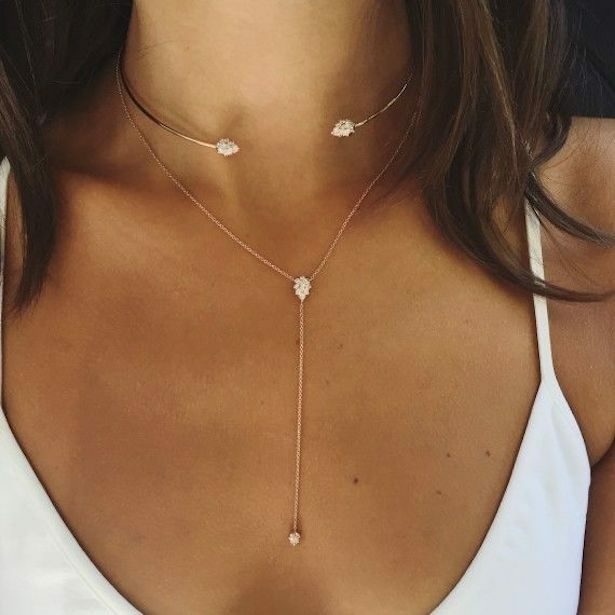 While a strapless or sweetheart neckline will look great with a short necklace or choker — or large statement earrings and no necklace — a V-neck dress really necessitates some type of necklace, probably a pendant or delicate layered pieces. Meanwhile, halter dresses don’t lend themselves to necklaces. Try hair accents instead. One of the biggest faux pas that many brides make is that they just do too much. They pick a gown with layers of lace and then add gloves, a big headpiece, statement earrings and maybe a bracelet or two to the mix. Your wedding isn’t the right time to experiment with fashion. 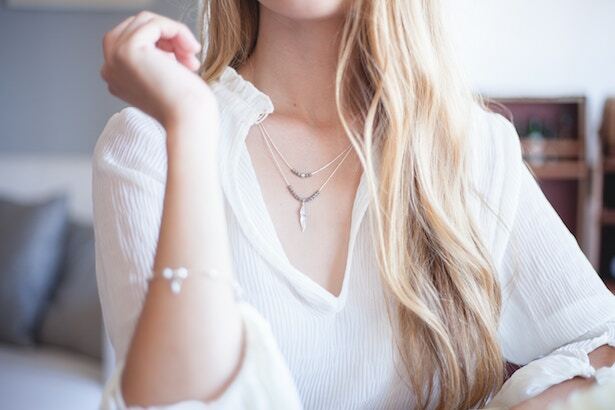 Keep your look simple and remember to include pieces that highlight your personal style. 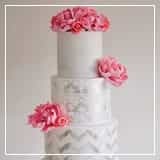 In 20 years, looking at your wedding album, you’ll be happy you stuck to your gut and didn’t cave to every bridal trend. That being said, you still want to look like you on your wedding day. 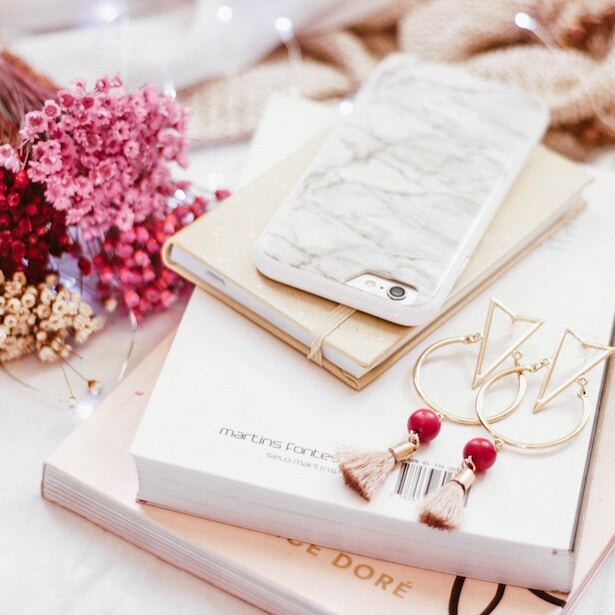 And if you happen to be a particularly trendy fashionista, this might involve incorporating some of the popular accessories of the day. You can still adhere to “less is more” while staying true to your own style. Just pick a single trendy piece and balance it out with other classic jewelry so that your wedding-day look doesn’t go totally over the top. 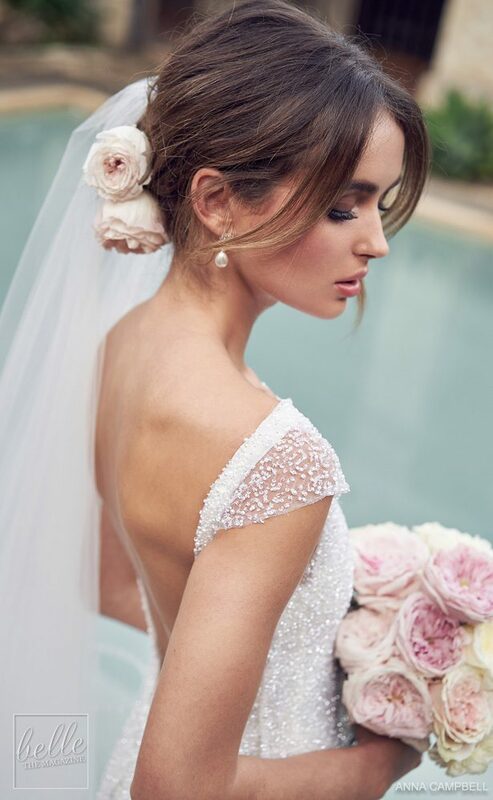 Although you probably won’t wear your veil all night long, it is a big part of that initial “wow” factor when you walk down the aisle. So make sure that it goes with your jewelry. 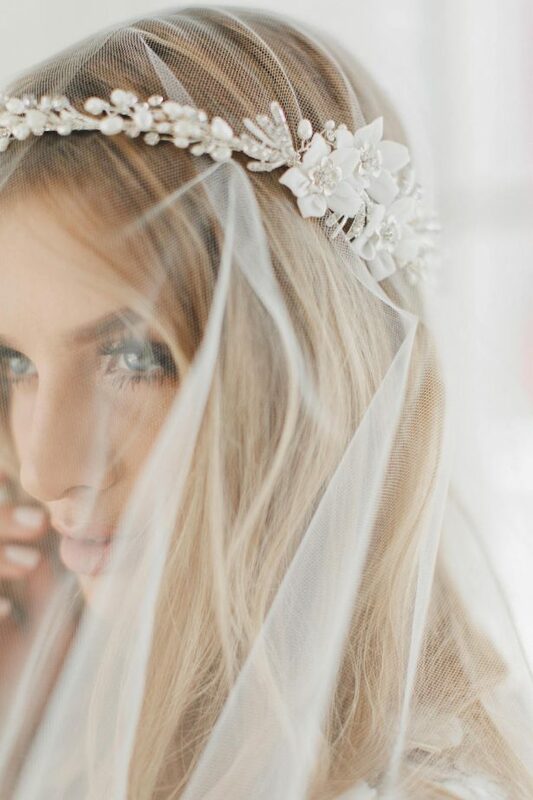 If you’re wearing a simple veil or no veil at all, chandelier earrings and other statement pieces are totally on-limits. 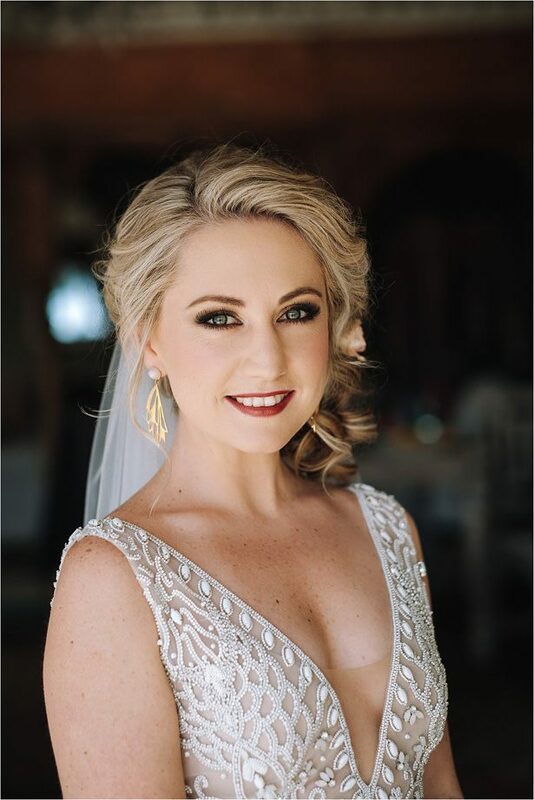 If you’ve opted for a cathedral-style gown that trails feet behind you down the aisle, keep your jewelry simpler so as not to detract from this stunning accessory. 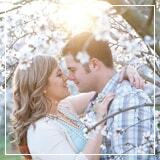 Maybe you’re getting married in a state park or at a local botanical garden. If this is the case, traditional jewelry might not be the best option. 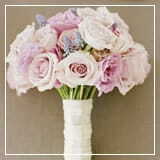 Feel free to get creative and weave other accents into your look, like fresh flowers. Nothing says garden wedding like a long, messy braid with beautiful blooms threaded throughout it. 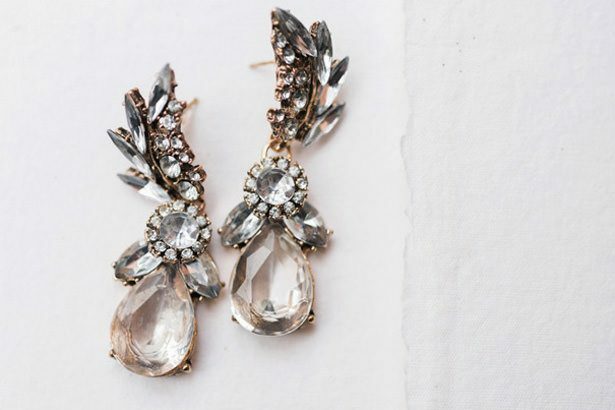 Don’t be afraid to lean into the vibe of your wedding and forgo the wedding-day jewelry traditions, if you want to! Now that you know some pointers about picking out wedding-day jewelry, there’s only one thing left to do: start browsing. 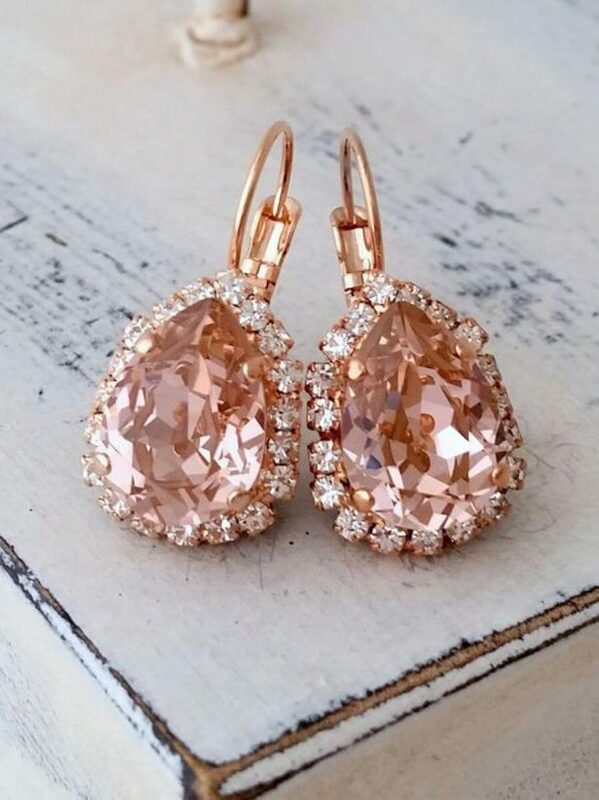 Whether you opt to wear earrings that have been passed down through generations, you rent a diamond-encrusted hairpiece from an online vendor, or you pick up a simple set of earrings at a department store, the only thing that matters is that you feel beautiful on your day. 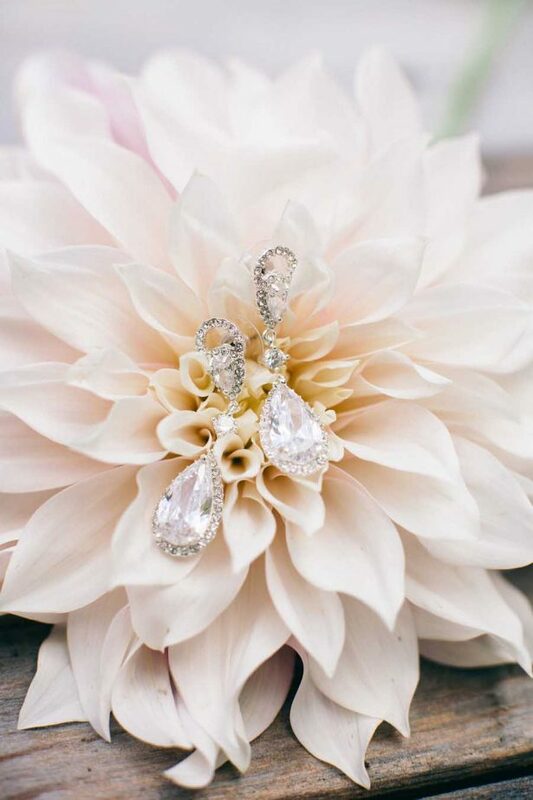 So follow these tips — and follow your gut — as you choose bridal jewelry. About the author: Kacey Bradley is the blogger behind The Drifter Collective, an eclectic lifestyle blog that expresses various forms of style through the influence of culture and the world around us. Kacey graduated with a degree in Communications while working for a lifestyle magazine. She has been able to fully embrace herself with the knowledge of nature, the power of exploring other locations and cultures, all while portraying her love for the world around her through her visually pleasing, culturally embracing and inspiring posts. Along with writing for her blog, she has written for sites like U.S. News, SUCCESS, Ruffled, and more!